Today we will be giving our best golf hats of 2018 reviews. The world is full of different golf players, including pastime fans, enthusiasts, and serious competitive players. The concept of golf is simple; get the ball in the hole in as few strokes as possible. The golden shot in golf is a hole in 1. While it is rare, it is thrilling to see this happen when it does. However, the excitement of golf stretches beyond this most obviously impressive feat. Getting a consistent swing or always doing better than par is no joke. Skilled players and those who appreciate the talent of others will recognize more than just the highlights flashed on a screen as important. The same can be said about the equipment. The dedicated player is aware of the sheer number of things that they need to know; this means they cannot afford to overlook details when it comes to their accessories. The following is our list of the best golf hats of 2018. We think you can find something that matches your needs from the following items. 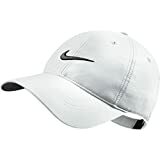 The Nike Men's Tech Swoosh Cap is the golf hat for golfers who need the ultimate in moisture protection while they play in the heat. Be comfortable with the snapless closure. 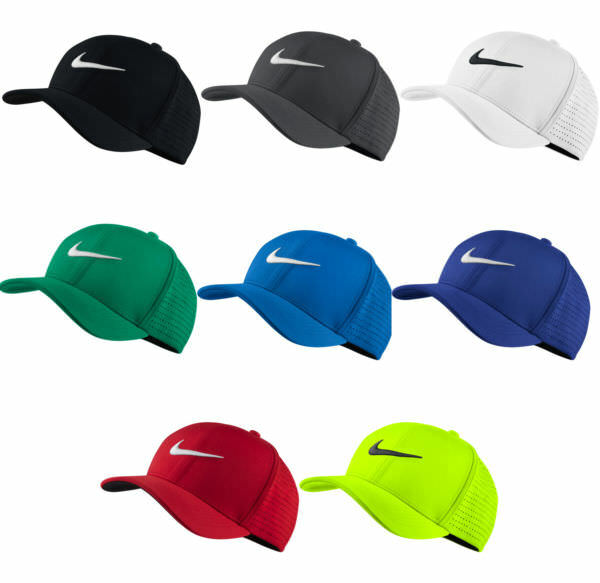 The Nike Golf Dri-Fit golf cap is the best option for those who want Maximum breathability with a nice simple yet elegant style. Get advanced moisture management with the Dri-FIT technology and the perforated back and mid panels. Reduce the effect of the sun's glare on your eyes with the contrast under the ball. A bit pricey compared to other solutions. If you are wearing sunglasses you may need to put them on first then the hat for proper fit. The TaylorMade R15 39Thirty is the best golf hat for people who are looking for a slick hat with popping 3D embroidery that they can relax in. This hat is made with 100% knitted polyester for solid integrity. Don’t want to have to worry about accidentally damaging your hat through everyday use? With the R15, you can be confident your head will not be abandoned anytime soon. With the moisture absorption sweatband, you can stay dry longer. With a bunch of vibrant colors to choose from, there is bound to be a choice for everyone. The Black Clover Men's Premium #2 is the best golf hat for players who need a high-quality hat that will fit right. This hat is excellent for almost any setting. Wear it at the beach, while watching the game, during a night on the town or anywhere else that you want to. The Clover is the way to Live Luckily. The Black Clover Men’s Premium #1 is the best golf hat for players who need everything that the black version offers but want a bright outside design. Live Lucky with the power of the Clover and enjoy yourself wearing it almost any place and anytime. A hat is a constructed shape made from various materials that are used for several purposes. The original purpose was most likely related to protecting the head from weather conditions such as extreme heat and excessive freezing temperatures. Hats have a very long history. We know that it is highly likely that they date back to at least 3200 B.C. We see this in pictorial depictions from Thebes in Egypt. It is a depiction of a straw hat being worn by a man. In fact, archeologists believe that hats may have been around over 25,000 years ago! Social status is one of many different aspects related to the context in the past and present day. Due to the level of difficulty of producing hats back then, and the higher costs involved in their production. Tobe seen with a hat in public was a sign of wealth and perhaps power. Today, hats still have significance regarding occupation and socialization. For example, Sailors in the US Navy have a hat that is part of their uniform – and each sailor must earn this through the tribulation of boot camp before they are recognized as a Sailor. There are many other instances where you should expect to see hats. In plays and cinema, hats are critical wardrobe pieces to help set the era within a story. A highly common denotation is of the 18th and 19th century ‘gentleman' in the US and Europe. In religion, there are hats for different faiths and religious figures such as the head coverings worn by Bishops, as well as the Kippah, worn by Jewish men. Areas where the weather is very cold the ability of the Ushanka hat awards the user to let down the ear flaps as a way to retain warmth. The following list of items will help you familiarize yourself with the different components in a hat; this way you can more clearly understand what aspects are going to be of concern in your decision making when choosing between the different golf hats. The Sweatband: The inner circumference of the hat, which stops sweat from contacting the main body of the hat with the aid of a circumnavigating strip. A rope or cord is installed on some hats to adjust the slack of this part. The Lining: One of the places where the hat maker label can be placed. 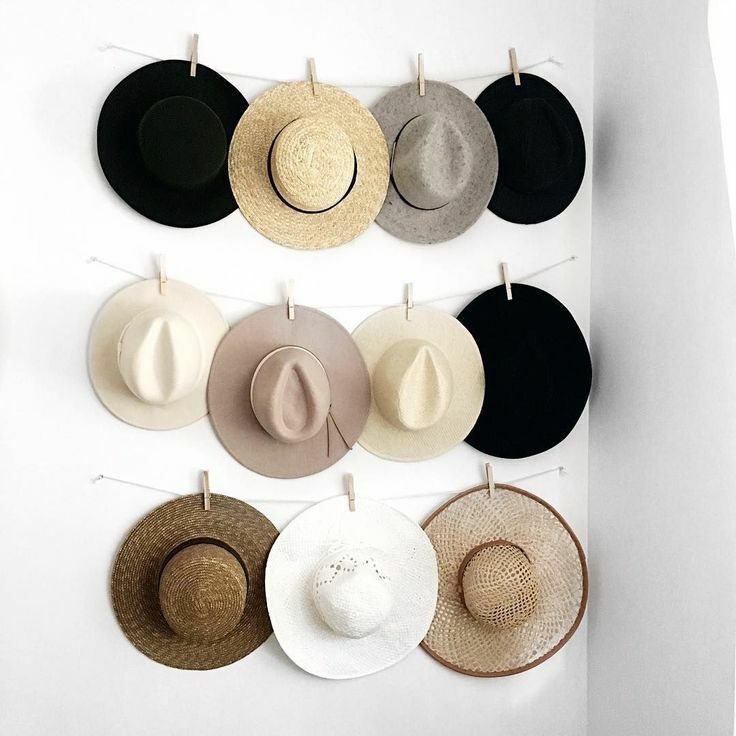 As many different materials can be used in your standard clothing, there are also many materials that can be used in your accessory apparel such as hats. Here are some of the basic and most popular types of material. Buckram is an interesting material. It can be constructed with a cotton base and stiffened with gum or paste, or it can be made from linen which is essentially woven from flax. It is used to create the foundation for some hats. Light, medium, and heavy are typically the weights available for one-ply buckram. 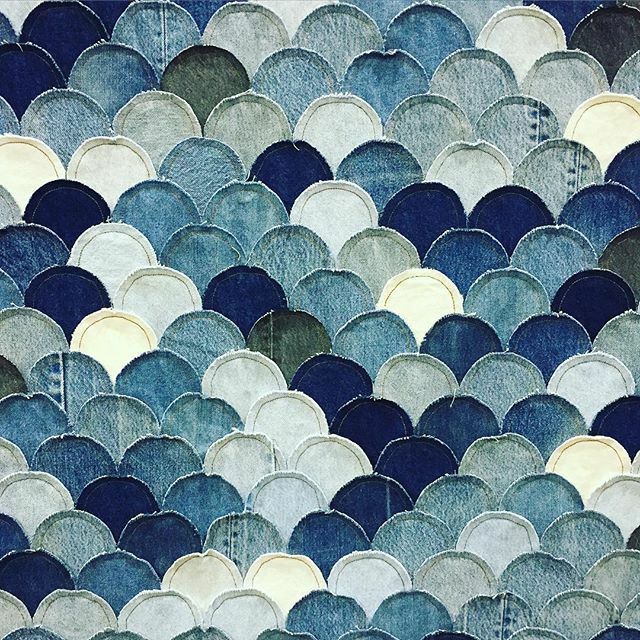 Denim is used for when construction of clothing must be sturdy. It is made from war diagonal thread interweaving. Denim can have a multitude of assorted colors, with the most popular version being blue denim. Sinamay is extremely popular material for hat creation. Used as a foundation, it is very versatile and can be shapeshifted into almost anything imaginable. Construction can range from classic brims, strong bases, and complex layers. The native banana palm tree in the Philippines has stalks that are processed to produce the valuable material. Believe it or not, Sinamay has three times the strength that silk has and has an impressive longevity of up to 100 years. A material that is unique originated in Australian millinery called Jute. It is considered to be very beautiful with its colorful expanded palette. Being pliable and firm, it became incredibly popular for hat foundations in Australia due to its impressive versatility. Raw cotton is wrapped in bales by cloth made from Jute. Fibers from Jute have proliferated many homes since they can be found in carpets, rugs, and in the backing of linoleum. Leather material is produced by tanning rawhide from animals such as cattle. The production of leather is quite scalable and also has a demanding market due to its look and comfort. Through condensing and pressing and matting fibers together, the textile material known as felt can be crafted. Fibers include synthetic bases such as petroleum and acrylonitrile, and wool and beaver fibers for a natural base. With a basic understanding of some materials that are used to make hats, it is time to briefly realize the kinds of hats that golf players tend to wear. Essentially a half of a hat;this provides protection from the sun rays and mild precipitation while allowing the wearer to maintain good airflow around their head. Very similar to a Baseball Cap. 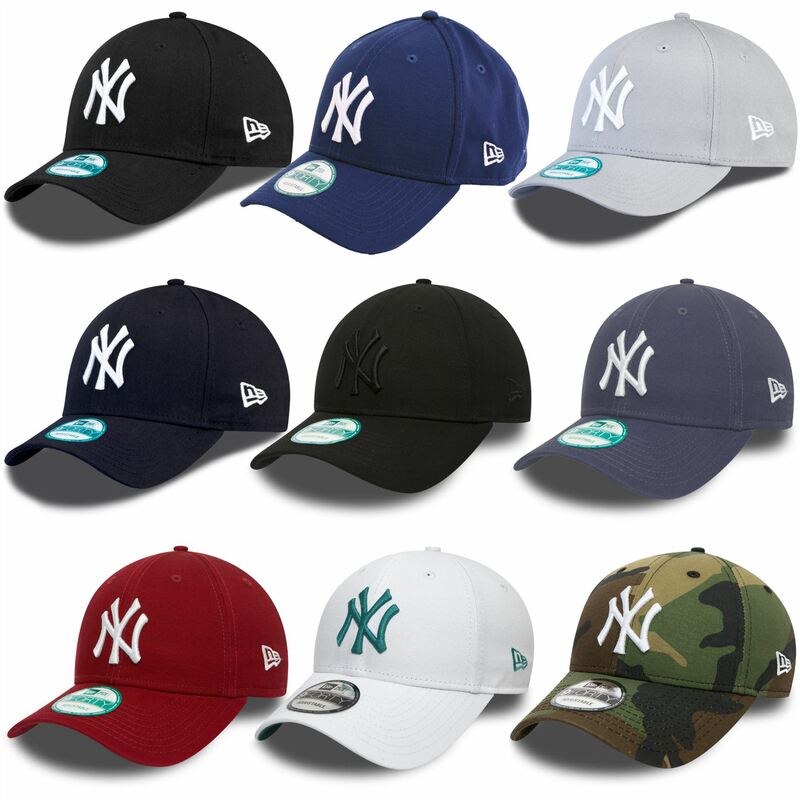 However, unlike a Baseball Cap, it usually is not fitted; this makes it adjustable for comfort. A cap that is rounded. In front, there is a small stiff brim. Cab drivers have been known to wear these. A hat that looks somewhat like a fisherman’s hat. It provides protection from the Su n’s rays for more area of the skin than a golf cap. These may come with slack tightening cords. Learning about the hat creation process can assist with getting the understanding of what makes a good hat. To make the Brim, two panels of cloth must be sewn together manually using hands and a sewing or embroidery machine; this turns into an envelope. A piece of cardboard is then taken and fills the pita like structure. The NY Yankee hat has this process done freehand without a guide. The peak must then be stitched. Machine typically automates this part; there should be a pattern of elliptical stitches. Panels of cloth must be taped together to form the cap. For mass production, this process combines machine and human together, with the machine feeding the tape while the human applies it level covering the panels. When a hat requires ventilation, the mainstream method of implementing this into the design is by creating eyelets. These are essentially semi/small holes that are punched into the fabric. It is best to let a machine do this for you. Sealing is necessary to give the hat the integrity it needs, by taping the seams. This step also increases the aesthetic quality. A strip is attached to the bottom and aligned with the bottom edge; this will have the corresponding size of the hat. The tag will be placed and folded here later. Unwashed - When hats have colors that look popping and have a finish that is smooth, they are usually considered to be unwashed. The reason to use a hat depends on your activities, environment, preferences, and style. Vintage businessman and performers may don top hats. In construction, workers need to be safe, so they wear hardhats to make sure they decrease the extent of potential injuries. While golf typically is safer, there are reasons to wear a golf hat/cap. 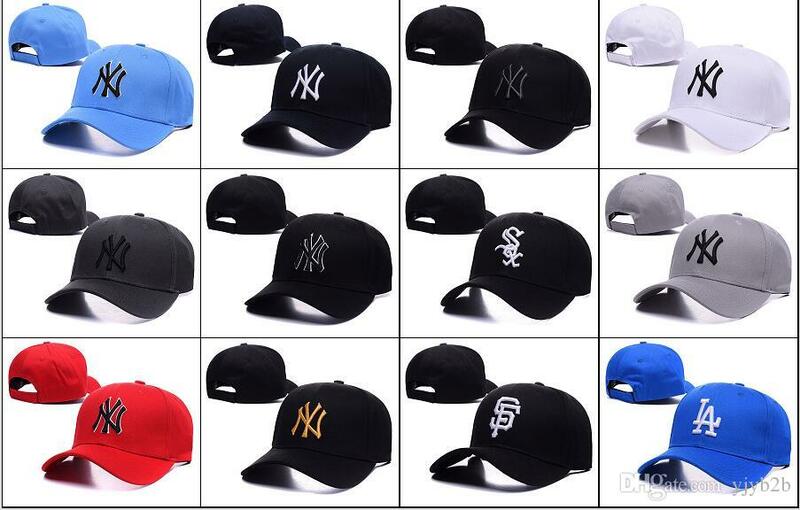 Many pros wear hats to utilize part of their advertisement space – their head. Sponsors and pro golfers have a mutual relationship, the pro player gets paid, and the sponsor gets great marketing out of the deal with the continuous presence of the cap being displayed on camera and for all the fans to see. Keeping on top of your game is important to serious players. Yes, having the proper form and solid swing is vital to the success of a player. Yes, being able to account for differences in the terrain regarding how the ball will minimize the amount your hits go off course. Also, not being able to compensate for the wind can be problematic even when it is only a slight breeze. Those above can be a lot for any player to conquer consistently. However, it is much more difficult to overcome these kinds of odds if you are under pressure from spectators, reporters, cameras, and most importantly your own critical mind. If only one person is on your side, it needs to be you; therefore having an elevated level of confidence is extremely important. While no magical element can guarantee that you will never waver, by wearing a great looking hat your confidence can receive a great boost. Looks aren't always shallow and knowing that you look like a million bucks can keep your mind from wandering into the self-conscious realm and maintain your focus on the game itself. What good is getting a nice stylish sturdy and comfortable golf cap if it’s doomed to premature quality degradation? If you have to put your hat down, let it lay upside down on the crown to maintain its shape. When you aren’t wearing your hat for a brief period, it is best to use a hat rack. Make sure that the peg it will hang from isn't too narrow or sharp. Otherwise, your hat may develop a small bump or even tear. When getting rid of dirt, aim for a shoeshine brush if you do not have a hat specific brush. Other brushes can damage your hat so be careful. Since color transference is possible between the brush and hat, matching the color of the brush to the color of the hat is a smart thing to do. Perform routine cleaning even if you can't see contaminants to maintain its potential lifespan. Slightly damp cloths are great for getting rid of dust. Use tape in a gentle way when you need to get rid of hair. Rubber sponges and gum erasers are good for getting rid of stains and smudges for felt hats. However, if the hat is straw based, use Ivory soap and a wet cloth by carefully rubbing. Handle your hat with clean hands and hold it by the brim always, the crown never. Always allow natural drying of a hat, don’t use a hairdryer. Always dry it in its natural shape, don’t flatten. If you are sweating while wearing the hat, fold out the sweatband to let it dry instead of letting it soak into the hat. While there is so much information available when it comes to hats, it can seem daunting trying to figure which are the best caps for you. If you are a hat collector, this might not be much of an issue. You will need to figure out if the size of the hat will fit your head. Yeah, this is a captain obvious statement. However, becoming too attached to a product for its looks alone can cost you proper functionality. Unfortunately, many people go through something like this at some point in their lives. Don't let that happen to you when you choose a hat that is right for you. Potential distractions are imminent during a game and practice. A phone goes off, someone just will not stop talking, or someone or something looks goofy. If you are one of those players that tone out everyone else around you, we say more power to you! However, even if this is the case, something on your person still might have an opportunity to take away from your focus at the least expected and worst of times. If a hat isn’t comfortable enough or annoys you in some way (i.e. rides too high), you may pay the price for your performance. Therefore, it is important that the feel of the hat won’t distract you from performing. Either you want only to notice how comfortable it is or not even notice it at all. If you are someone who doesn’t need to make adjustments, you may want to get a hat with a closed back. This can make it feel more natural to wear, and it also doesn’t take away from the overall integrity. However, depending on your hair style you may want an open and adjustable hat. This is great for people with ponytails. The world of hats is by no means small. Just the sheer number of the types of hats may seem innumerable to some. Let’s look at some hat types available, now that we have gone over the basics of materials used for them. Fedoras have soft brims and crowns that are indented. They are typically made with some kind of felt. 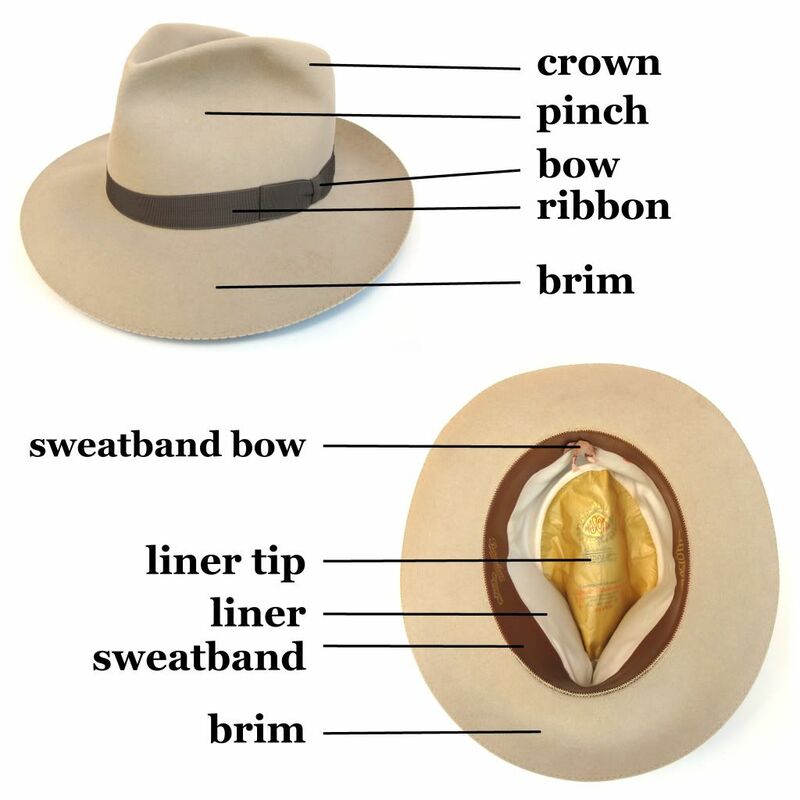 There are a few options for the felt that a Fedora can be made from. Blends can include materials such as Cashmere, Chinchilla, Cervelt, and rabbit etc. Some of them have teardrop styled crowns, dents in the center, diamond shaped crowns, and more. There are multiple ways their pinch can be positioned, but the most common position is towards the front on either side. Try not to confuse suede hats with Fedoras. You can tell by the swallowed tops that the Fedora carries. Traditionally, the baseball uniform that players wear includes a hat that is soft and has a stiff projection in the front and a crown that is round. A sports team will have a designer logo on the front. The good thing about baseball caps is that the back of them can be custom fit to the head of the designated wearer. Due to their stylish nature, even people who do not necessarily involve themselves in baseball – may enjoy wearing them also. A lot of golfers have even admitted to choosing a baseball cap over a visor to keep the harsh sun off their head during hotter days. That was the best golf hats of 2018 reviews. Hopefully, now that you have read our article, you have a better understanding of what to look for in a golf hat. Remember that the fit, moisture control, and comfortability are some of the important things to keep in mind as you decide what is best for you.